Hello Friday! 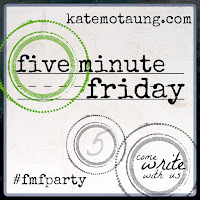 Time for a free write with the Five-Minute Friday link-up! For quite some time, I asked God how I could find His will for my life. Looking back over my 20's, the way His will for my life looks has changed drastically from age 20 to 28. My 20's began with me having no relationship with the Lord. I was bitter, empty, and frustrated with life. There was nothing of this world I could find that would fill the void. Then I surrendered my life to God; one of His lost sheep was found. At 28, my life looks drastically different. God changed me from the inside out when I gave my life to Him in 2011. Now He is sanctifying me day by day, chipping away at my sinful, selfish heart and transforming me to be more like Christ. What does God's will have in store for my future? It's not my job to find out. What I do know is I trust Him and I know that He will give me the strength for whatever lies ahead. Life in God's will is a great adventure that has stretched me out of my comfort zone over and over again. It's beautiful, more wonderful and more challenging than I could have ever dreamed up. I am so thankful the Shepherd found me. He drew me to Him, threw me up on His shoulders and took me home. What would you write on "Find"? 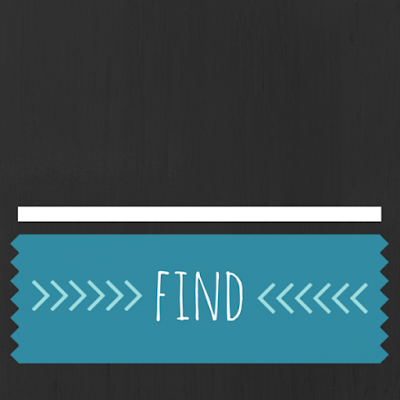 How precious it is to me to read of the Shepherd finding you! What a joy! How amazing to think that now we are sisters in Christ! It's always so exciting to me to learn of the work that the Lord has been doing behind the scenes--and I didn't even know about it!! :) He is truly Amazing! It sure is, MB! Better than I could have ever imagined! That was beautifully written. It brought warmth to my heart. Thank you for the beautiful verse.